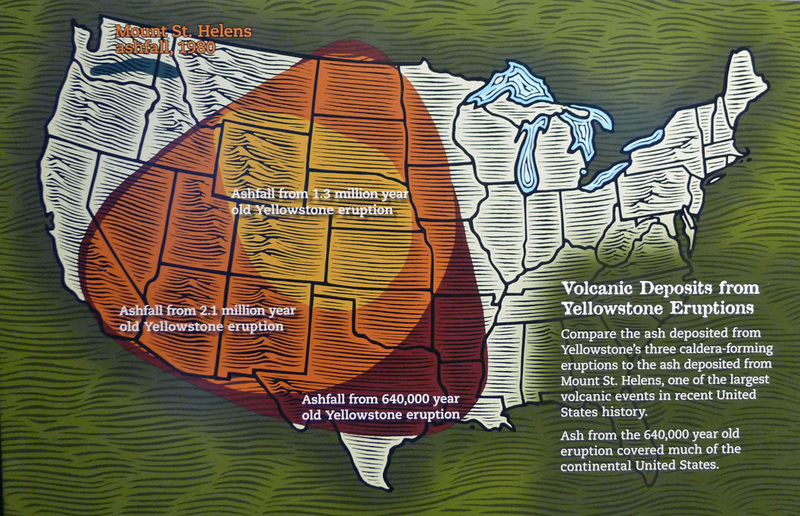 Ash from Yellowstone Park Volcanic explosion cover much of the US, source: National Park Service. Millions of years ago, a giant volcano sat atop much of what is now Yellowstone Park. Boom, one day it blew up and spread ash over most of the landmass that we now call the United States. That explosion left a gaping hole called a caldera where the volcano cone once was. 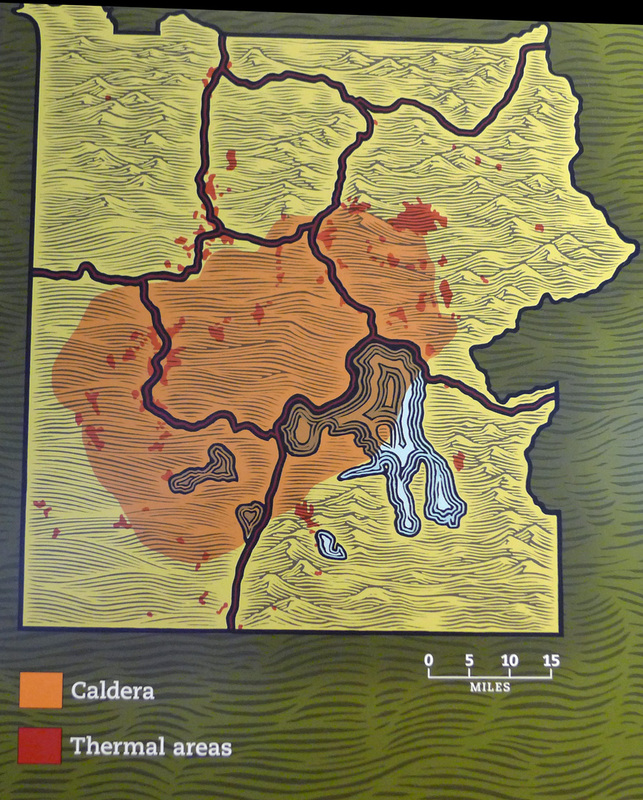 The caldera of the Yellowstone Volcano fills the center of the park. Source NPS. The caldera, which is roughly 25 miles in diameter, is now home to most of the parks geysers, hot springs, mud pots, and steam vents. Miles beneath the caldera is a gigantic hot pool of molten rock that heats the water coming up to the surface of the park. The “hot spot” is bigger than Lake Michigan, and will eventually come to the surface and form another volcano cone sometime. Here is a Youtube Video of some bubbling features of Yellowstone National Park. This short video, produced using iMovie software, shows some of the boiling wonders of the park in action. They don’t really boil, however; the “boiling” effect is gas rising to the surface of the pool or mud pot. The video was taken in Norris Geyser Basin, Sulphur Caldron and the Mud Volcano. This entry was posted in Montana, Travel Blog and tagged Montana, mud volcano, norris geyser basin, Postaday, sulphur caldron, Travel, Vacation, Wyoming, Yellowstone by carto. Bookmark the permalink.